Our latest model, the Evac 910 is the quietest toilet on the market, according to tests carried out by an independent research centre. The Evac 910 is available in floor and wall models, and uses the proven Evac pneumatic flush mechanism, with flush memory and vacuum sensor technology. 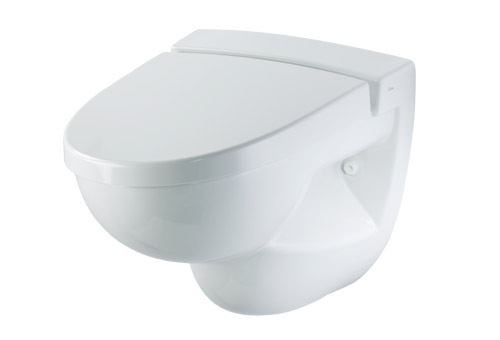 The water consumption of the Evac 910 is very low and can be adjusted, as can the flushing time. 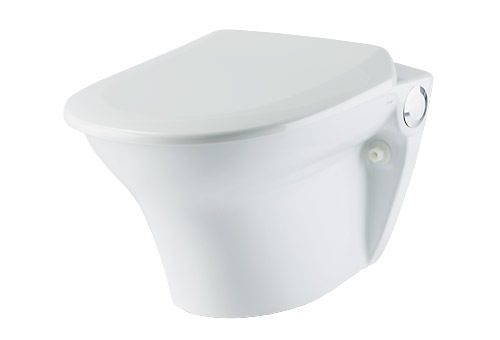 With the Evac 910 there are no overflows, backflows or unflushed toilet bowls caused by a temporary loss of vacuum. The new Prestige seat can withstand 280 kg, is resistant to cigarette burns and scratches and can be made of anti-bacterial urea (optional), offering additional protection against a wide range of bacteria. Evac 910 Autoflush: "touch free" version. Evac 910 B15: A fire resistant version, featuring a back plate that has been certified as a pipe penetration for B-15 bulkheads. 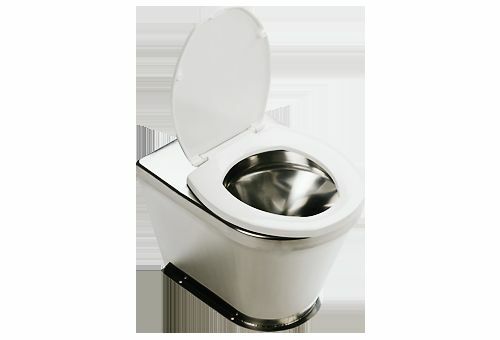 Evac 910 Stainless steel toilets: shock and vibration proof design. Evac Vaccum toilet animation : If unplayable, please try here. The Evac Classic is an innovative new model designed for the crew cabins on cargo and passenger vessels. 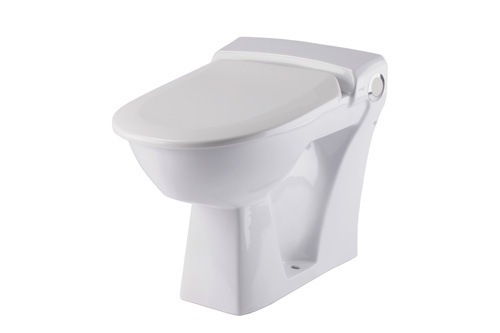 It is fully pneumatic with an extremely effective one-nozzle flush technology, and a flushing mechanism which is integrated into the push button. 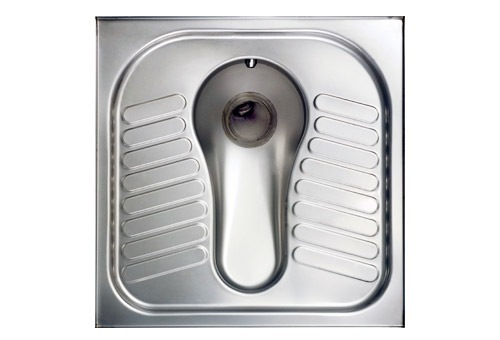 It has relatively few simple and reliable moving parts, making it an extremely reliable vacuum toilet. Maintaining the Evac Classic is easy, time-saving and cost effective.